According to the National Travel Survey for 2010, approximately 80 per cent of UK residents over 18 years old live in a household where there is at least one car, and the number of full driving licences issued each year is in the region of 700,000. Having a full driving licence offers a series of advantages that go beyond mobility, as in the UK they serve the purposes of identification and proof of address, as well as being required by many employers. While driving schools around the country offer both manual and automatic lessons, manual vehicles are by far the most popular option in the United Kingdom. This article will provide an overview of the types of manual driving licences available to UK drivers, as well as information on taking manual driving lessons. Learner drivers aged 17 and above must obtain a provisional driving licence before they start taking driving lessons and before they drive on the roads for the first time. Provisional licences holders are entitled to drive a vehicle while accompanied by a fully-qualified driver aged 21 and over, who must have had a full driving licence for at least 3 years. Provisional driving licences do not entitle drivers to drive on motorways, and vehicles must be fitted with "L" plates at the front and at the back. This type of licences are valid for 10 years or until a learner passes the driving test and becomes fully qualified. • The validity of driving licences. Driving licences are valid for a period of 10 years, after which they must be renewed, except for drivers who are over 70, who must renew their licences every 3 years. • The need to update the photograph on your driving licence. Because a driving licence serves identification purposes, licence holders are required to update the photograph that appears in their licence every ten years until a driver is 70 years old. Usually, this is done at the same time as a licence is renewed, and the procedure has a cost of £20. Failure to comply with this requirement may result in fines of up to £1,000. Learner drivers may take lessons with an approved driving instructor (ADI), or by driving while supervised by a friend or relative who is over 21 and has held a full licence for 3 years or more. ADIs are given ratings by the DVLA, with 4 being competent and 6 being exceptionally skilled to teach. Fully-qualified ADIs will have vehicles fitted with a green badge, while trainee ADIs have a pink badge. It might be possible to negotiate discounts when learning to drive with a trainee ADI. 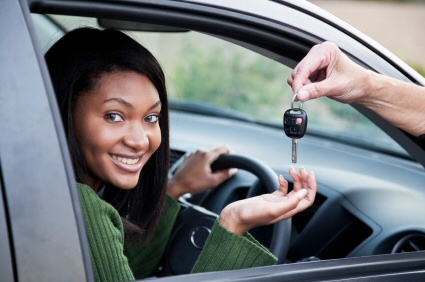 Driving schools usually offer reduced prices on trial lessons or on block bookings of ten lessons or more. Lesson prices are not fixed, but usually range between £22 and £30 per lesson, although higher prices may be charged in larger cities like London. The minimum lesson time is one hour, although most learners find that 90-minute or 2-hour lessons are more useful. The Driving Standards Agency affirms that most drivers need an average of 50 lessons before being able to pass their practical test.